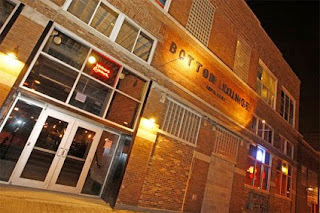 If you're a fan of the Bottom Lounge (1375 W. Lake St.) and are interested in helping them get the word out about their shows, listen up! The club has let us know that they're on the lookout for "individuals with a deep passion for independent music and who are interested in getting involved in concert promotion and live music. Your duties will be representing the club to local businesses, other music fans and flyering street routes, concerts and festivals. The position is unpaid, but street team members do get comped meals and free entry to all Bottom Lounge shows for themselves and a guest." To get involved, they've asked that you send an e-mail to info@bottomlounge.com that includes some information about yourself and why you are interested in becoming a street team member.